Engineers are known for being the most jugaadu and frustrated souls (no doubt, they are a genius too). But recently a software engineer got media coverage not for developing any software or making an invention in technology and science. 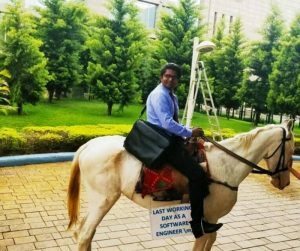 Video of a talented engineer from Bengaluru is getting viral these days where he can be seen going to the office on a ‘Horse’. The person is leaving his profession as a software engineer and will become an entrepreneur. This video of the weird yet unique idea of horse riding is spreading on Twitter. Whenever there’s a talk about leaving the office most of the people think about partying or they are upset aboit their retirement. But this guy got no chill and is also showing that the ingenious minds of Engineers can generate such ideas too. Generally, people think of horse riding as a sport or in movies where the Prince charming arrives on his horse to take the love of his life. This engineer has just made the whole idea hilarious and is also giving us an example of how to deal with the ‘Petrol price hike’. 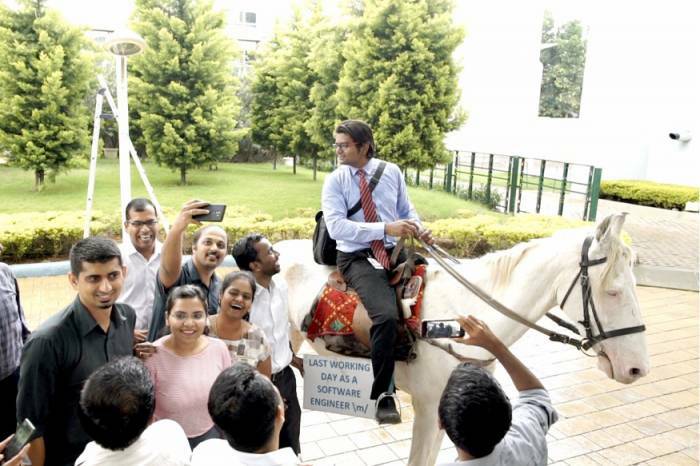 Some also called it as the happiness of getting relieved from a hectic job of a software engineer. 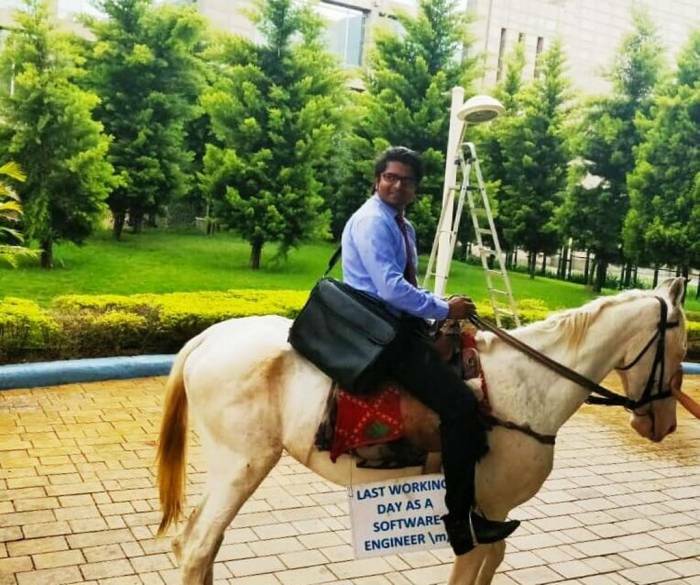 What’s your plan for the last day at your office? Share your views in the comment section!